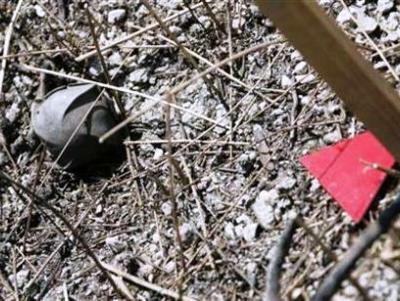 A global treaty banning the use of cluster munitions has gone into effect. The treaty came into orce yesterday. Dropped from aircraft or fired from artillery or rockets, the weapons scatter bomblets over a wide area, opponents say they have limited military impact today as they were designed to attack tanks on an open battlefield, an increasingly rare scenario. Cluster bombs often fail to detonate immediately and can explode years after a conflict, killing or maiming civilians in Laos, Kosovo and Lebanon, according to humanitarian groups. “These weapons are a relic of the Cold War. They are a legacy that has to be eliminated because they increasingly won’t work,” Peter Herby, an arms expert at the International Committee of the Red Cross (ICRC), told a news conference last Thursday. Reuters says support is growing for the Convention on Cluster Bombs, adopted in May 2008 and ratified by 37 states including Britain, France, Germany and Japan, which all have significant stocks. But the United States — the world’s largest producer with the biggest stockpile of 800 million submunitions — has shunned the treaty, although it says it will ban the weapon from 2018. “We call on countries that haven’t yet signed to join this treaty without delay,” said Thomas Nash, coordinator of the Cluster Munition Coalition which links 350 activist groups. “We’re already seeing that the practice of these countries is changing. The US has an export moratorium in place that (Barack) Obama signed into law as one of his first acts as president,” he added. In all, 107 countries have signed the pact banning the use, production, stockpiling and transfer of cluster bombs which also sets deadlines for the clearance and destruction of stockpiles. “It is the most important disarmament and humanitarian convention in over a decade,” Jody Williams, 1997 Nobel Peace prize laureate and landmines campaigner, said in a statement. “The majority of cluster bombs out there that you would step on if you were in an affected country would be made in the USA,” Nash said. Four of the five types used by Israel in its 2006 war in southern Lebanon were American-made, he said. NATO is not using them in Afghanistan out of concern over civilian casualties, in line with a policy since 2003, he said. Most countries are turning away from the weapon because they kill too many civilians and undermine political objectives, according to Nash. Lockheed Martin and Alliant Techsystems are among US-based companies known to have produced cluster bombs in the recent past, he said. Israel’s use of the weapon against Hezbollah militants in southern Lebanon in 2006 and Britain’s own review of their use in Kosovo — revealing they had destroyed just 15 military pieces of equipment — had shown their limited military value, said Herby of the ICRC, a neutral humanitarian agency..
MRAP glut on the way?